Martinsville, Ind. 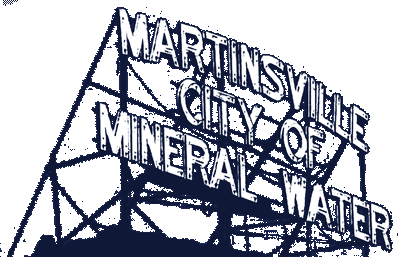 – Recognizing the significant impact former Patrolman Sonny Miller had on the police force and the Martinsville community, Police Chief Matt Long, Mayor Shannon Kohl and police officers invite residents to a dedication ceremony honoring Miller on Wednesday, December 13 at 6:30 p.m. outside the front of City Hall. According to Chief Long, the ceremony marks five years since Miller’s untimely passing on December 13, 2012. “When we lost Sonny, we lost a one-of-a-kind brother in blue, friend and public safety servant. While Sonny was on our force for just two short years, his impact will be felt for a lifetime. He took his oath to protect and serve to heart, providing complete dedication to our residents as well as to his brothers and sisters in our department. “I often wonder how we were so fortunate to have Sonny. He served with such honor, integrity, strength, professionalism, kindness and devotion and made everyone he encountered feel good about themselves and their surroundings. His devotion to being a great police officer was matched only by his loving commitment to his family and friends. Mayor Kohl will declare Wednesday as Sonny J. Miller Day in Martinsville with a proclamation at the ceremony that also will include brief remarks by Chief Long and a special presentation honoring Miller. His wife, Amanda, and children, Dylan and Chloe, have been invited as special guests. “Sometimes in life we meet someone who makes an unforgettable impression. For many of us, Sonny Miller was that person. Given his time with us was far too short and the type of professional he was, there’s no telling the heights he would have achieved. “It’s up to us now to keep his memory burning brightly and honor Sonny for all the special moments he gave us and his service and dedication to our community. We encourage as many of you as possible to join us for our special celebration of his life Wednesday evening,” Kohl said. Miller joined the Police Department as a reserve patrolman on August 25, 2010. He became a full-time, Class A patrolman on September 26, 2011. He lost his battle with cancer on December 13, 2012, being the Police Department’s first active duty death. City Hall is at 59 South Jefferson Street, with the section of Jefferson Street directly in front of the building blocked off to traffic and parking that evening for the safety of event attendees. There is parking available behind City Hall and on adjacent streets.